Maximizing the Customer Experience Online Certification Training Program. Maximizing the Customer Experience is a unique, interactive, eight module, online customer focus and service excellence certification training program. Get certified as a Certified Customer Experience Professional. This self-paced, interactive, online experience provides the knowledge and skills necessary to enable participants to maximize the quality and value of each interaction with customers and each other. For organizations this program provides a comprehensive and cost effective way to train your staff and strengthen customer focus and service excellence. For individuals this program provides an opportunity for professional development in an essential business competency. It will enhance your current performance and the knowledge and skills are fully transferable as you pursue your career goals. This video describes this amazing program in detail. Click here to go to our corporate web site thetrainingbank.com and enrol using our secure online payment system. Enrol now for only CDN$249.00! Everything you need to know about delivering customer-focused service is contained in 8 narrated and detailed course modules. Whether you serve customers directly or support those who do, this program is a must. More details about each module are provided below. All the information, concepts, actions steps and approaches contained in this program are based on recent research and best practices. This program is not theoretical. We explore the practical application of best practices, concepts and strategies in a straight forward and tangible way so you can apply what you learn immediately. Throughout the program you build a personal action plan for how you will apply everything covered in this program. This program is briming with stories, examples, tips, tools and video excerpts for you to discover and each course module includes interactive quizzes to test your understanding. We also provide a 42 page study guide to help you maximize your learning experience. This program is based on our highly successful and effective classroom training program Customers Forever. In fact we include video clips from this program where we present many of the customer focus concepts before a live audience. Upon successful completion of this certification program you will receive a certificate of completion and certification as a Certified Customer Experience Professional. This certification is provided by The Training Bank and the Customer Service Institute of America. You can complete this entire program in the comfort of your home or office. You have access to the program for a full 60 days so you can take your time and even revisit the content after you have completed the program for a quick refresher. This unique online program takes from 6 to 7 hours to complete and is the equivalent of two days of training in the classroom. In the past this type of training was something only larger organizations could afford. Now so can you. This is a tremendous value for the price. Online customer focus and service excellence training. 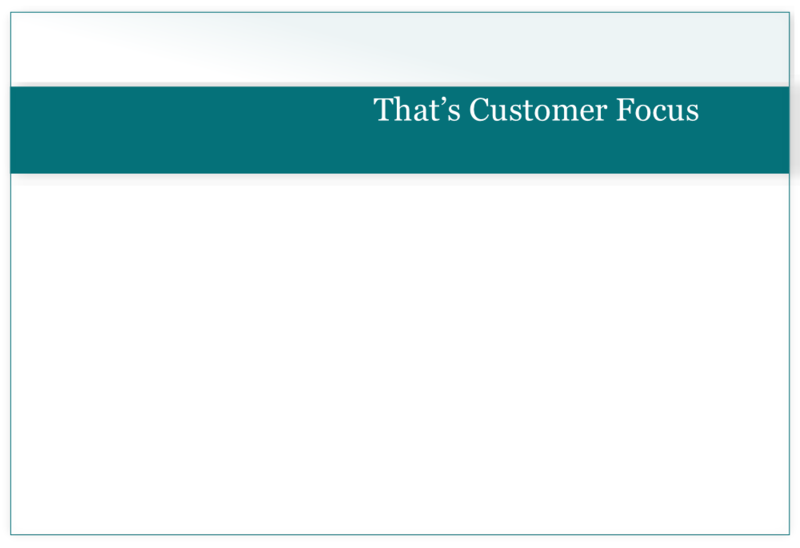 Each fully narrated module explores all the key principles of customer focus and service excellence in detail. You will also find, tools, tips, situational examples to enhance your understanding of the content. 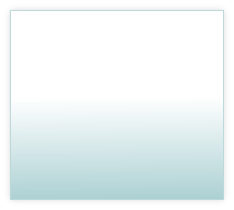 Included in each module you will find short video clips. These clips are taken from a session of our classroom version of this training program. Explore the importance of making improvements to your systems, processes and procedures which are aligned with what customer value, and learn what you can do to enhance your continuous improvement efforts. The learning objectives associated with each module are provided below. Click here to review these objectives. As you work through each module you will complete short pop quizzes to check your understanding of what has been covered. And... at the end of each module you will have the opportunity to complete a Final Quiz which you will need to pass with a 70% pass rate in order to move on to the next module in the program. Included with your tuition is a 42 page Study Guide and Personal Action Plan. This terrific learning resource contains learning activities and a Personal Action Planning tool. The learning activities will help you to apply what you learn as you work on a module. The Personal Action Plan gives you an opportunity to set some goals for yourself so that you can apply what you have learned on-the-job. A detailed explanation of how to use this tool is provided in the Guide. When you have successfully completed all the modules and the Study Guide and Action Plan, you will receive a Certificate of Completion and you will be well on your way to becoming a Customer Experience Professional. Your CCEP certification is provided by The Training Bank and the Customer Service Institute of America. This means that this program has passed the rigorous standards of both organizations and that you have demonstrated the required knowledge and skill to be granted this designation. To retain this designation you must consistently demonstrate your commitment to the core values, concepts, best-practices and customer focus principles covered in this program. For more information about this outstanding program please give us a call at 519 284-8080 or send a request by clicking here. For more information about this outstanding workshop please give us a call at 519 284-8080 or send a request by clicking here. We want to ensure that your computer is properly set up to run the course. Our courseware has been created using HTML 5 which is compatible with most computing devices and internet browsers. Most people have the correct software on their computers to deploy and run most internet based content but sometimes they do not have the latest versions of this software and as a result they encounter problems running online courseware. To avoid encountering problems with this course please ensure that you have the latest versions of the software typically needed for internet based training. Here is a list of the system requirements needed to ensure this program functions properly. If you want to be a customer experience professional, this program is a must! You will be able to use what you learn right away. Invest in your future success today.This online program is a great value. It’s only $249.00. It’s convenient and you can experience this training in the comfort of your home or office. Click on the enrol now button to go to our secure online payment system. 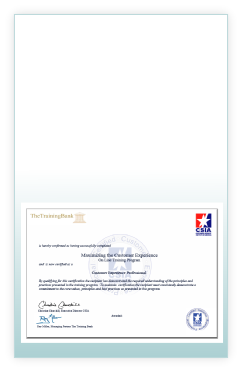 Our secure payment system is located on our corporate web site (thetrainingbank.com). When you click on the enrol now link, you will go to our corporate web site. Click enrol on that site to access our secure payment system. This added step is for security purposes. Access and use of this program is granted to and for the sole use of the individual who has enrolled in the program. The content and supporting materials may not be shared or used by anyone other than the individual who has enrolled in this program. We warrant that the course provided contains the information as described on this page. We further warrant that it is free of technical defects and, provided the purchaser meets the requirements as described in System Requirements above, the course will deploy and run properly. In the event that you are unable to access this program, despite having the required supporting hardware/software as described above please contact us within 48 hours of purchase. If we are unable to correct the problem, we will provide a full refund. If you encounter a problem, email support@thetraningbank.com and describe the difficulty you are having. Please ensure that you include your sales confirmation number. We shall endeavour to correct the problem. If we are unable to do so we shall refund the purchase price. Requests for refunds for any other reason, while not normally accepted, will be considered on a case by case basis. Please note: Once you have gained access to the online training program and used any part of this training you are deemed to have accepted the terms and conditions of purchase. If you wish to enrol multiple participants or wish to run this program through your own customized LMS, please contact us. We will be pleased to look after your specific requirements. Please note that volume discounts apply to enrolments of 11 or more individuals. We will take care of everything including setting up and providing unique user access codes and notifications. "Finally an online course that incorporates all of the key elements required for achieving exceptional customer experiences. We at the CSIA were so impressed with the content and training style that we asked if we could endorse the course. The takeaways are exceptional and will assist any individual across a variety of industries in 'upping their game'." Research is alarmingly clear! Too high a percentage of customers do not believe the vast majority of companies they deal with care about keeping their business and these customers are looking elsewhere in the hope they will find companies who value their business to whom they can become loyal. Maximizing the experience of your customers requires the understanding, commitment and active participation of everyone in your organization. Service excellence is not simply the job of people who interact with customers. Regardless of your role, the work that you do affects customers in some way. From Accounting to IT, shop floor to sales floor, shipping to marketing and everywhere else in between, your customers are impacted by the work that you do. Understanding your role in the customer experience and actively taking actions on a daily basis is critical. You need to ensure that the things that you do make a positive contribution to the success of every experience your customers have, when dealing with your Organization. This is critical to your Organization’s long-term success. Maximizing the Customer Experience will help you to accomplish this! This program is a must for anyone who serves customers directly or anyone whose work impacts on customers. In short, everyone who wants to maximize the experience of customers. Wouldn’t it be wonderful if every employee implemented everything they learned in a training program? In reality most employees do not unless essential steps are taken prior to the training and critical actions are implemented following the training. When it comes to building and sustaining customer focus, training is just the first step. This tool provides you with detailed recommendations regarding how to plan, organize and implement a successful training plan using the online training program. Two proven approaches are outlined or you can customize your own plan. This Guide also contains step-by-step instructions for conducting an effective Kick-Off meeting to launch the training program. Many essential best practices are covered in the online certification program. Ensuring that all your employees utilize these best practices daily requires structure and accountability. The tools provided in this Guide will help you to accomplish this. The Guide contains 19 tested and proven activities which when conducted with your employees will reinforce what is covered in the training and ensure that these best practices are integrated into the fabric of day-to-day life at work. We have also provided additional reference material including instructions on how to use a number of problem-solving and decision-making tools and techniques. In essence, everything you will need to maximize your employees’ learning experience and bring customer focus to life in your department, team or Organization. The Guide comes in a downloadable Acrobat pdf format and is designed so that you can print it and place the pages in a three ring binder for ease of use. This resource is available for reproduction by way of license. The price for one license (1 unit) is $149.00. You will need to acquire a license for each manager/trainer using the Guide. Volume discounts are available. Please contact us for particulars. Here are a list of the objectives within each Module of the program. Module 2: What is Customer-Focused Service? For other Important details click on any of the following topics. Maximizing the Customer Experience is a self-paced, web-based, certification level online training program. It typically takes from 6 to 7 hours to complete. The content contained in this program is the equivalent of 2 days in a classroom version of the training program. Plus you have access to the system for a full 60 days. Maximizing the Customer Experience contains eight modules. There is also an Introduction Module which explains how to use this program and get the most out of your learning experience.